Action Line forgot who said that, but it’s probably the finest summation regarding town’s dysfunctional view of vehicles, entitlement and convenience. Store personnel park directly in front of their shop, plug the meter and then gripe about not seeing as many customers. You see it at the Durango Community Recreation Center. Fitness buffs will circle the lot for close-in parking so they don’t have to walk so far to exercise. You even see it at the library, where the closest parking spots are reserved for fuel-efficient vehicles. The most fuel-efficient vehicles are the ones that remain in the garage. So why not reward pedestrians and bike riders instead of creating a sanctimonious sanctuary for Prius piousness? 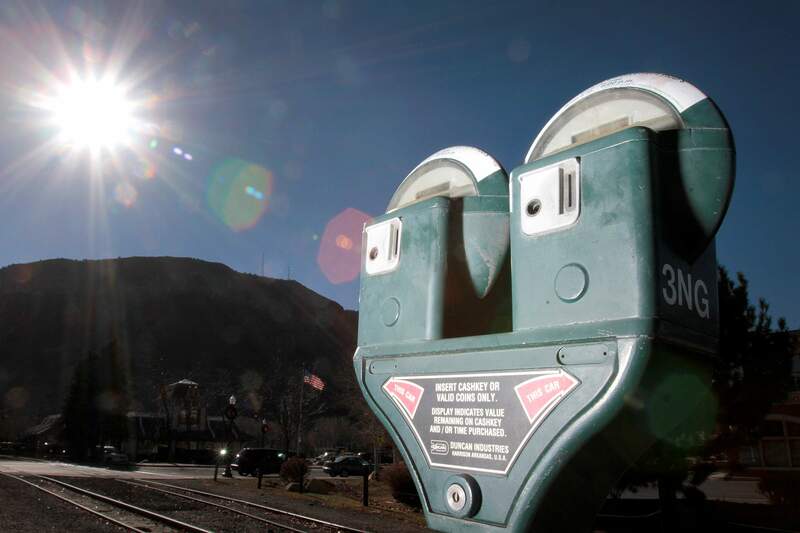 If you did a parking survey of Durangoans, 97 percent of townsfolk would support spending $14 million to build a public parking garage – so other people would stop taking “their” parking place on the street. And so it is with the Skate Park along Roosa Avenue, across the river from the fire station. Which reminded Action Line of the “Car Talk” radio program and its fake staff credits. “Picov Andropov” is the show’s Russian chauffeur. If you don’t like it, you should contact the folks at customer service: Heywood Jabuzzoff, Curt Reply and Xavier Breath. Let’s get back to the Skate Park. There’s plenty of parking. It’s to the north, abutting the intersection of El Paso Street and Roosa Avenue. The lot has room for at least a dozen vehicles. But park users would have to walk several feet downhill to the Skate Park, an onerous burden for any gravity sports enthusiast. Practical enforcement is the other reason why people park in a no-parking area. If the Skate Park were downtown, you’d see multiple tickets on windshields. Maybe a boot or two. However, the venue is across the river and off the meter-reader beat. Parking personnel aren’t prone to perambulate parkside. So skaters get to skate on parking tickets. In the meantime, we might consider some new bumper stickers. H H H It’s time for an Action Line follow-up. When the president-elect promises to “drain the swamp,” he appoints a professional wrestling honcho to lead the Small Business Administration and a fast-food magnate for the Labor Department. But when the city promises to drain the swamp, it drains the swamp. Talk about making Durango great again. A couple weeks back, Action Line reported on the gushing spring in back of Durango High School causing a sloppy mess along the Animas River Trail. So the city and the Durango & Silverton Narrow Gauge Railroad worked together to fix it. The train added a new pipe under the tracks and the city diverted the water so it doesn’t pool along the sides of the trail. It’s an overt culvert that makes a visible improvement. Email questions to actionline@durangoherald.com or mail them to Action Line, The Durango Herald, 1275 Main Ave., Durango, CO 81301. You can ask for anonymity if you’re totally stoked to nail a casper slide 360 flip out.